Can I buy Grazax online? 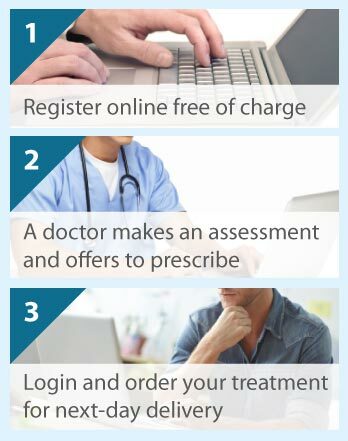 The Online Clinic can prescribe Grazax online following a short consultation form being completed. Your consultation will be reviewed by a doctor. We have suspended the prescribing of Grazax through this service. We can offer alternative treatments. Please start a consultation to have your case assessed by a GP. Grazax tablets are used to treat hay fever caused by a specific allergy to grass pollen. Grazax tablets contain an allergen extract of grass pollens. This is a type of medicine known as immunotherapy. Using it regularly leads to the activation of your body's immunomodulatory mechanisms, alleviating symptoms such as a congested nasal passage, and red, itchy and watery eyes that are caused by an allergic reaction to grass pollen. Furthermore, it reduces your need for other medications, improving your quality of life. You are advised to take Grazax tablets once daily and ideally you need to be taking them all year round. Grazax is still highly effective when you start taking it around 4 months before the grass pollen season starts, however you will notice a positive effect even you begin taking it 2 or 3 months before the season starts. Upon taking the tablets, you may experience some mild local side effects for a couple of hours due to immune systems allergic responses, such as itching and swelling in the mouth and ears, throat irritation and sneezing. If these symptoms persist then consult your doctor. You should not use Grazax if you have any diseases of the immune system; cancer; uncontrolled or severe asthma; or severe inflammation of the mouth due to lichen planus or severe oral mycoses. If you are pregnant then consult your doctor before use. You should use Grazax with caution if you have had any oral surgery; asthma; or a severe allergy to fish because Grazax tablets contain gelatine from fish. The most common side effect of Grazax revolved around the oral and nasal cavities, such as swelling and itching inside the mouth, sneezing, itching of the inner ears and throat irritation. Less common side effect are again centred on the ear-nose-throat trivarium, with itchy eyes, conjunctivitis, a runny or blocked nose, swelling in the mouth or throat and throat tightness. It should be stated that very few people get any side effects at all. To get started, please click on the free consultation icon below.